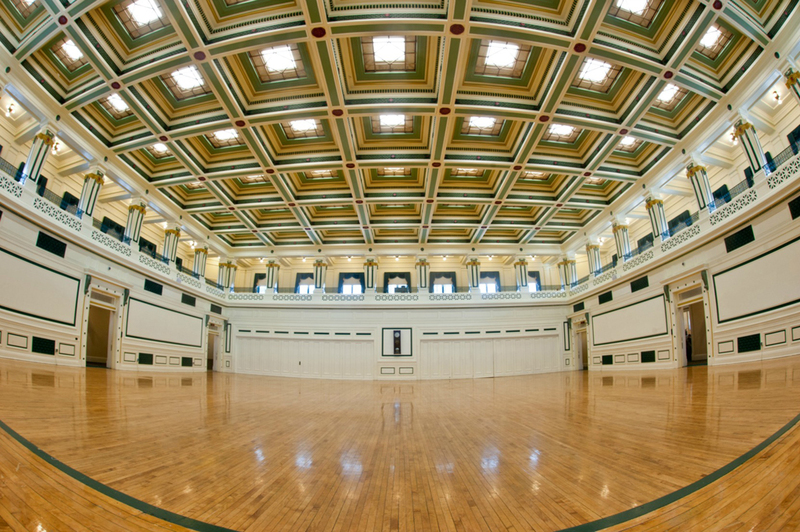 Facility Rentals | Soldiers & Sailors Memorial Hall & Museum Trust, Inc.
Are you looking to make your next event one for the history books? Located in the heart of Oakland, Soldiers & Sailors is only minutes from downtown Pittsburgh. The surrounding educational and cultural landmarks and the classical Hornbostel architecture create a one of a kind setting for any event. Opened in 1910, Soldiers & Sailors is rich with history. In 2000, Soldiers & Sailors became a non-profit museum and through capital funding made significant renovations including the addition of air conditioning and the restoration and enhancement of its rental facilities. History, legends and traditions thrive within the walls of Soldiers & Sailors. 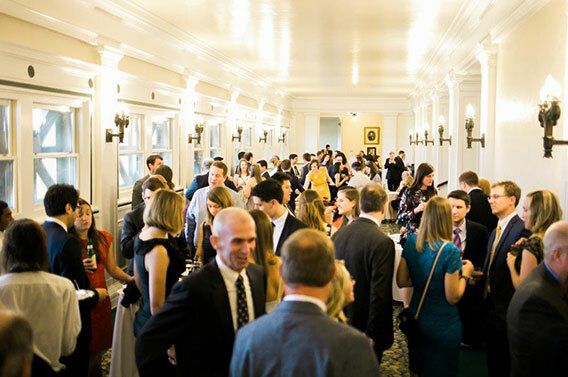 With a variety of available areas, Soldiers & Sailors provides a distinctive alternative to conventional venues for a refined and formal event or for a fun and casual affair. Interested in renting our facility? Contact us today! We're happy to answer all of your questions. Simple but elegant grandeur awaits you in this beautifully detailed ballroom with its 50-ft. decorative ceiling. Your event will be spectacularly showcased when surrounded by the upper-level balcony with accents of green and red. The spacious ballroom with its hardwood floor lends itself easily to weddings, dinners, mixers, meetings, expos, lectures, fashion shows, and an array of other business or private affairs. The ballroom’s pocket doors permit partial or complete room closure depending on your needs and wishes. 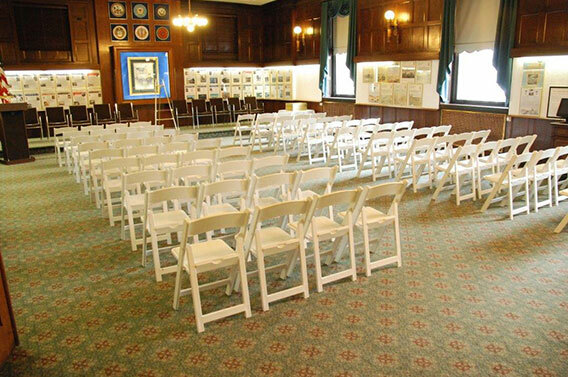 The Joseph A. Dugan, Jr. Hall of Valor's rich raised paneled walls, donning plaques telling the tale of brave Pennsylvania service members as well as medals and other artifacts, create a rich historic backdrop for your event. Featuring a slightly elevated 6 ft. by 27 ft. stage, along with our included tables, chairs, a podium, microphone and presentation screen upon request, this space can be set for parties, meetings, lectures and a variety of intimate ceremonies, just to name a few possibilities. Gatherings of up to 100 guests can be accommodated depending on your desired setup style. The room can also be divided by partitions to provide extra breakout areas. Our Gettysburg Room is an ideal space for private parties, meetings, lectures and a variety of ceremonies, just to name a few possibilities. Tastefully appointed with a combination of Civil War era momentos and a brief history of Soldiers & Sailors, the room adds unique character to your affair. This space is suitable for gatherings of up to 100 guests depending on your desired setup style and includes a slightly elevated 6 ft. by 27 ft. stage. Our tables, chairs, a podium, microphone and presentation screen are available upon request and included in your rental fee. The room can also be divided by partitions to provide extra breakout areas. 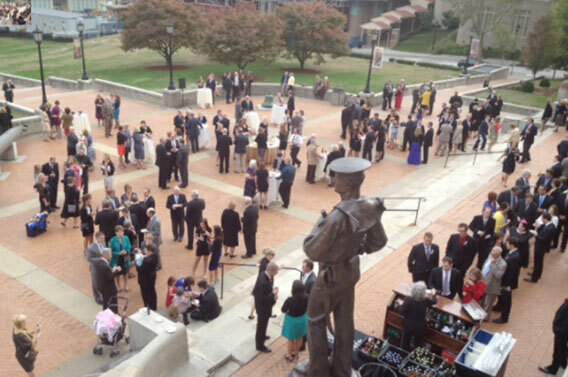 The brick front patio of Soldiers & Sailors adds a dramatic and impressive outdoor element for your special event. The sweeping view of the expansive front lawn is picture perfect for a wedding ceremony or cocktail hour and the architecture of the building provides an outstanding backdrop. 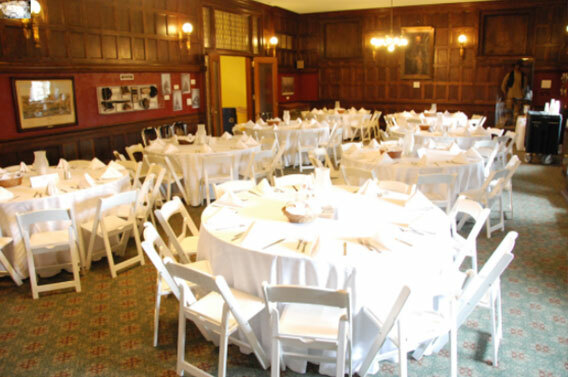 Soldiers & Sailors has a space capable of fitting almost any type of meeting or special event, with room capacities ranging from 8 guests to over 2300. The first floor halls of the museum and third floor foyer outside of our grand ballroom provide spaces for breakout sessions, bars, food service stations, expo vendors, and much more while our Board Room is ideal for your next important business meeting of up to about 12 guests. Above photo credit by Steven Dray Photography. Soldiers & Sailors works with a list of exclusive caterers and other authorized vendors who are trained in the policies and procedures of the museum. All of our vendors hold the proper licensing and meet the standards of insurance set forth by the museum. Please consult our Authorized Vendors prior to booking any vendors under the categories of Catering, Linens (including chair covers, draping and sashes), Equipment (such as tables, chairs and tableware), Audio Visual and Lighting in addition to what Soldiers & Sailors includes in your rental. Please speak to a member of the Soldiers & Sailors sales team to answer vendor related questions. Soldiers & Sailors reserves the right to approve or disapprove any entertainment offered at a special event to ensure that the nature of the gathering is in the best interest of the museum. The name and type of entertainment must be provided to the Rental Department prior to booking your entertainment. 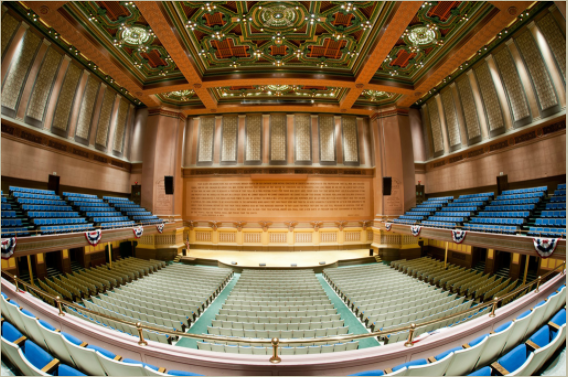 Soldiers & Sailors includes a built in sound system as a part of both our auditorium and grand ballroom rental areas. A portable sound system is available for our patio, Gettysburg Room and Joseph A. Dugan, Jr. Hall of Valor. Outside systems cannot be plugged into these systems. Clients are required to contact and utilize our authorized sound and lighting vendors for any additional sound needs. Soldiers & Sailors will have special-event personnel on-site for event setup and breakdown. Certain special events will require security, including all events serving alcohol. If the client’s entertainment, speakers, VIPs, dignitaries or special guests have their own private security, the Rental Department must be notified. Failure to do so may result in individual(s) being refused admittance to the museum. The museum does not own or operate the subsurface parking garage or street parking adjacent to its property. The City of Pittsburgh Parking Authority controls the street parking if variances are needed. The garage is operated by the University of Pittsburgh, but is publicly accessible via Bigelow Blvd, the side street to our right. For more information on the parking garage visit here. Someone from the rental department will follow up with you directly. Our facilities are great for events of all sizes. From small gatherings, to concerts, to weddings, we have a space that is sure to make your event memorable!